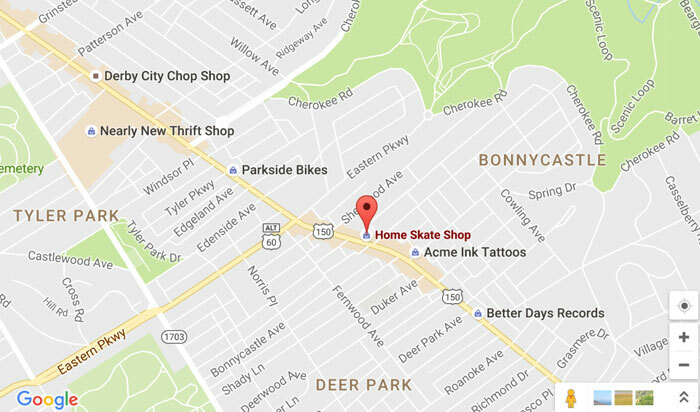 Home Skateshop was started by a skateboarder in 1994. We are here to serve the community of Louisville and beyond with the highest quality skateboarding gear and accessories. Still skater owned operated to this day.